Media and Contents: Hardcover; 9" X 12" format; 208 pages. Advantages: Fascinating history written in an accessible style; excellent wartime photos including 40 in full colour, all helpfully captioned; beautiful colour illustrations by Tom Tullis; additional material including line drawings, tables and charts. Conclusion: If you have any interest in late-war Luftwaffe fighters in general or the Ta 152 in particular, this will be an essential companion for your research and modelling. A one-stop reference on the background, development, prototypes, production and short operational life of this late-war German fighter. Two of the most prized titles in my bookshelf are the now long out of print Monogram Monarch books, “Arado 234 Blitz” (published in 1992) and “Dornier 335 Arrow” (1997). These were benchmark books at the time, with unrivalled research and supported by many photographs and attractive profiles. There was always the promise of a third title in this landmark series. The subject would be the Focke-Wulf Ta 152. For more than ten years this title seemed to linger in the Bermuda Triangle and was surrounded by the same level of mystery. 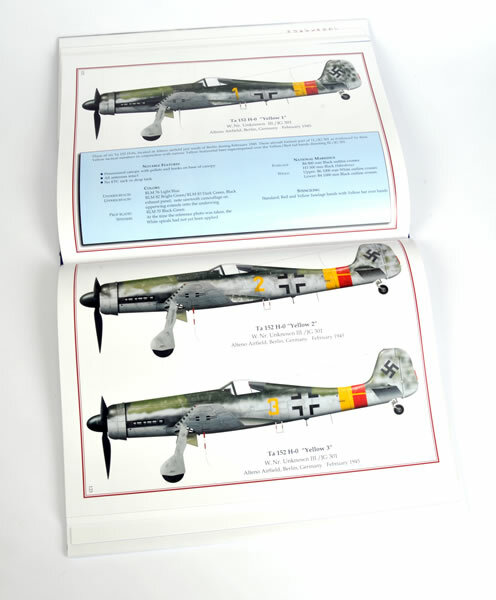 Eventually, however, Eagle Editions acquired Monogram Aviation Publications and the rights to publish Thomas Hitchcock’s Ta 152 book. After a lengthy gestation period, the book was finally released in 2010. It was well worth the wait. The slipcover is adorned with a gorgeous illustration of a Ta 152 H in flight by Gareth Hector. 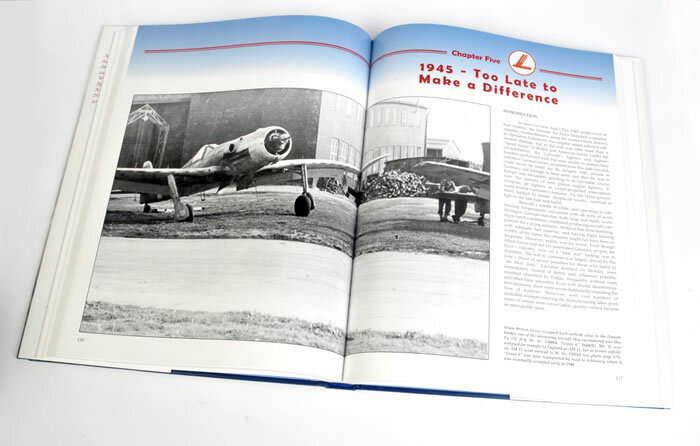 Inside the hard covers, we are treated to 204 pages packed with information on the background, development, prototypes, specifications and short-lived operations of this important late-war fighter aircraft. 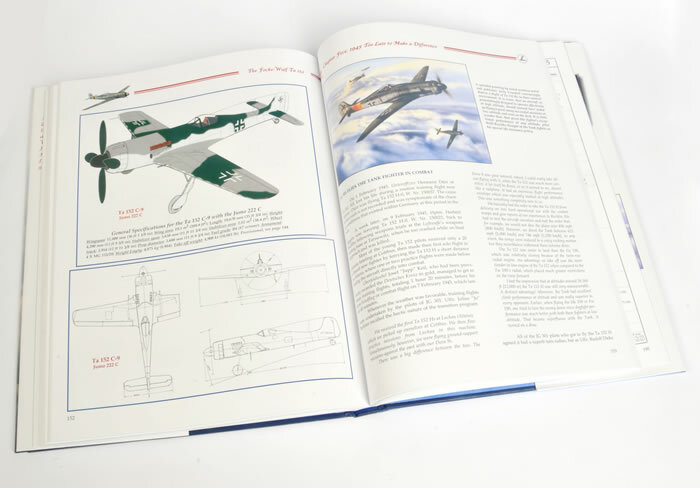 The book is adorned with 36 big colour illustrations by noted aviation artist, Tom Tullis. The profiles are beautifully done, demonstrating this artist’s customary deftness of light and shade. The large number of wartime and walkaround photos are well reproduced and helpfully captioned. Additional resources include 75 line drawings, plus 19 tables and charts. The layout and style is very much in the tradition of recent Eagle Editions hardback books. The text is quite engaging and readable, but still includes plenty of technical detail on the Ta 152, its engines (and proposed alternative powerplants), contemporary fighters and rival designs. Specifically, the book is made up from a Foreword by Luftwaffe pilot Wili Reschke, Preface and Introduction, then individual Chapters for each year of background, development and operations from 1941 through to 1945. Four Appendices cover Camouflage and Markings; Production and Werknummern; Specifications, Weights, Performance and Equipment; and Pilot Operating Instructions and Systems. With its lavish illustrations and ample reference photos, this book will be equally suitable for the modeller or the armchair historian. I am delighted to finally have this third Monogram Monarch title in my bookshelf. 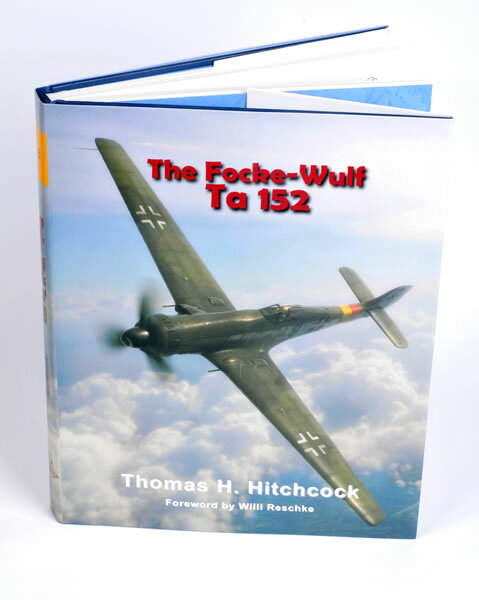 Thomas Hitchcock’s “The Focke-Wulf Ta 152” is one-stop reference on the background, development, prototypes, production and short operational life of this late-war German fighter. If you have any interest in late-war Luftwaffe fighters in general or the Ta 152 in particular, this will be an essential companion for your research and modelling.